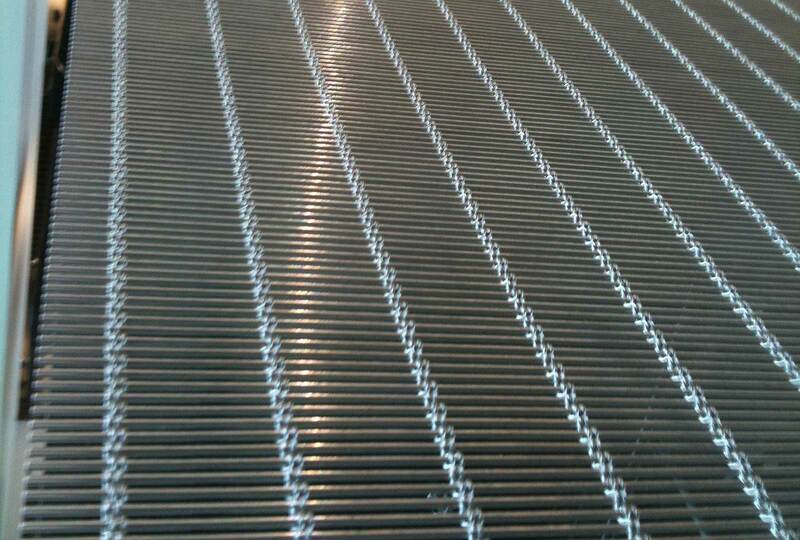 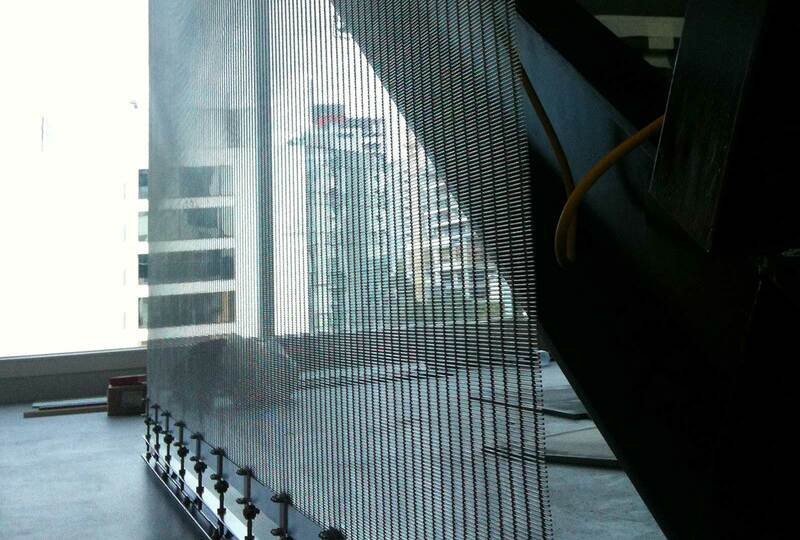 Augen Design was subcontracted for the installation of feature metallic screens. 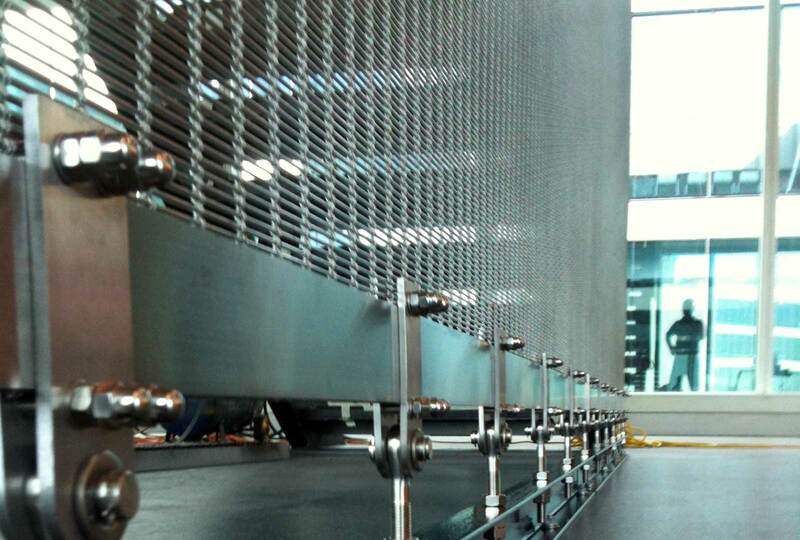 The feature screens were installed for the commercial fitout of the ENI Perth Office. 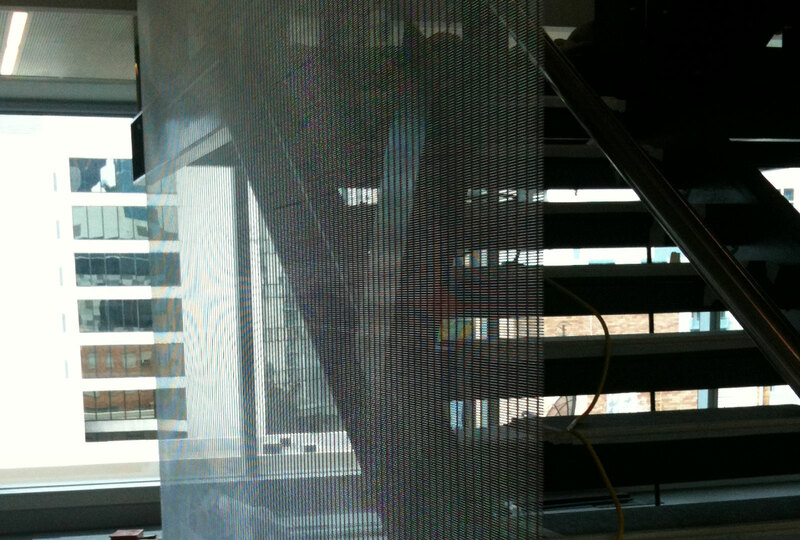 The feature GKD Lago Stainless Steel Woven mesh screens were installed in 3 meetings rooms to act as privacy screens, as well as a large feature up the staircase. 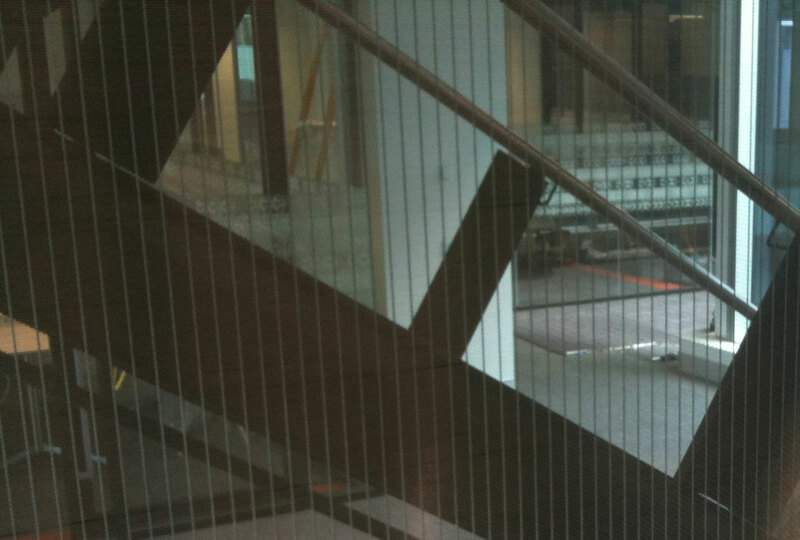 The stair case screen extends up from the ground floor in the reception foyer area.